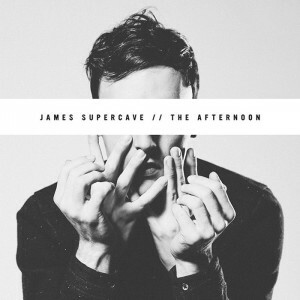 Echo Park’s life of a dance party quintet, James Supercave, deliver us with a magnificent debut in the form of a four song EP titled The Afternoon. And they deliver big on this debut of an outing, the EP takes the listener on a short musical escapade through their electro dance tinged art rock tunes. The band’s music falls somewhere comfortably in between the sounds of Foster The People and Hot Chip and other like minded bands. Not sounding at all like a replica of the aforementioned, the band relies on a heavy bass driven approach to lead most of their songs. The band as a whole performs at a high level making it hard to believe that they are only two years into their career as a band. Already in L.A. the band has garnered a big following playing The Echo’s month residency and opening for any band coming into town. “Old Robot” impressively begins the EP and it doesn’t slow up very much after that, with the exception of “A Million Days”. “The Right Thing” and “The Afternoon (as bad as it seems)”continue in an upbeat form, but not sounding anything alike. The only relatively negative aspect of the EP is that it might leave the listener craving more from the band. A feeling that might be to the bands advantage, as we will all be eager to hear more from this very special and up coming L.A. band.